I am renowned for always expecting the worst to happen, so my progress through life is rarely jarred by unpleasant surprises. It therefore came as a deep shock on Saturday morning when I caught sight of something so completely and utterly unexpected in my peaceful corner of Northumberland that I literally could not believe my eyes. But sadly I had to concede that there could be no mistaking the bushy tail of a grey squirrel as it leapt into the roadside ditch just in front of my car. I had never caught sight of such a thing in these parts in 25 years. 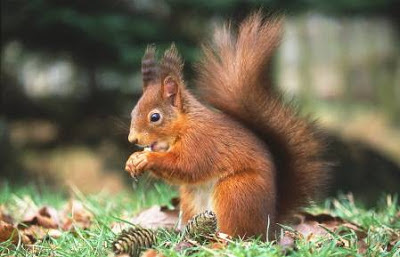 Our native red squirrels rank alongside the call of the curlew as one of the chief natural attractions of the locality. And, ironically, I have seen more red squirrels out and about by the local roads in the last few months than I have ever seen before, suggesting that the population is thriving even as their nemesis closes in. Subsequent enquiries established, predictably enough, that I had just not been paying enough attention. Grey squirrels have been sighted many times in my area, and a trapping programme is well under way to try in a brave attempt to keep them under control. I hope that mention of the fact in this column may inspire a few more locals to keep their eyes open and also to report their sightings. The great hope for the future is apparently a vaccination against the squirrel pox carried by the greys that currently proves fatal to the reds. 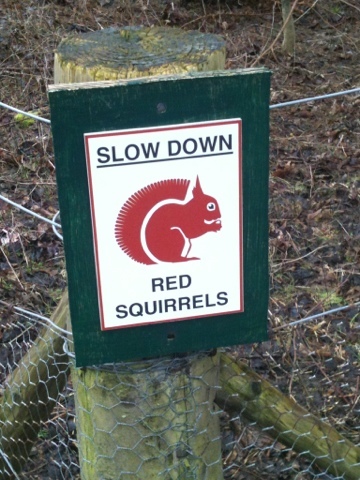 Though somehow I doubt that the red squirrels will queue up for this as obediently as the older folk of Rothbury did at the clinic to which I was driving for my annual flu jab when I had my close encounter with that grey arriviste on Saturday morning. I should add right away that I do not actually qualify for this vaccination on grounds of age, but have crept within the NHS’s beneficent net on the strength of my alleged infirmities. Having suffered bronchial pneumonia in the past, I was particularly pleased to be offered an additional bonus “once in a lifetime” vaccination that would afford lasting protection against the pneumococcal form of the disease. “Are there any side-effects?” I blithely enquired as I rolled up my second sleeve of the morning. I was briskly assured that there were not, though this turned out to be not strictly true. My arm hurt a great deal for the next 36 hours and I entered one of those periods of decline in which the only possible course of action seems to be snoozing on the sofa before a roaring fire. Still, that must be considered short term pain for long term gain if I can now laugh in the face of “the old man’s friend” when pneumonia next beats a path to my door. It is a rather more complex equation in the squirrel world, where even short term relief for the delightful red variety can only be procured by killing the greys – provoking the usual animal rights objections that this is needlessly cruel to a species that is only doing what comes naturally, and that in any event it is unlikely to save the reds in the long run. Sadly, a natural pessimist like me feels that this may well turn out to be true. 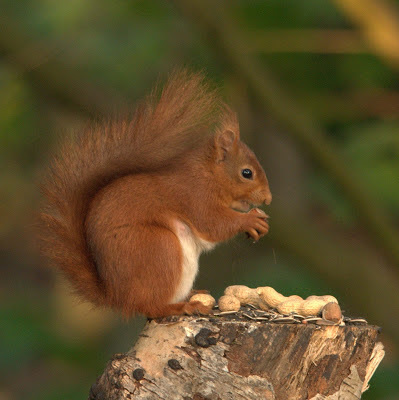 But I am so in thrall to the charms of the red squirrel that I feel that it is only right to offer full support to those who are giving it a go on their behalf. Above all, this should be a valuable reminder of the perils of tinkering with nature, when someone next thinks that a non-native species might make an attractive addition to our fauna or flora. The grey squirrel invasion started with the release of a single pair in Cheshire parkland in 1876. Now there are millions. It seems that the bloke who had the bright idea was a banker, too. Now there is one fact that should occasion absolutely no surprise whatsoever.